IMPlus Chat with award-winning IM+® within AIM®/iChat, MSN®/Windows Live™ Messenger, Yahoo!®, ICQ®, Jabber®, Google Talk™, MySpaceIM, Facebook® and even Skype™* regardless of location and mobile operator. Now with Twitter* support! Communicate with all your friends in a single buddylist, share your files and photos. Record and send voice messages. 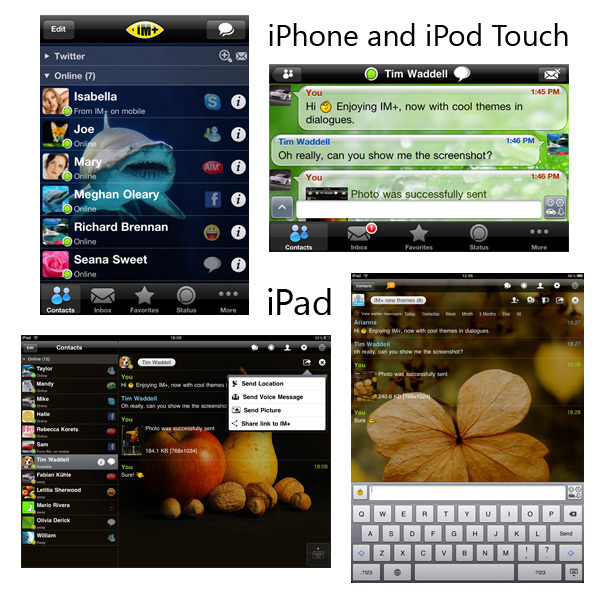 * Skype and Twitter are available in iPhone/iPod Touch/iPad and BlackBerry. 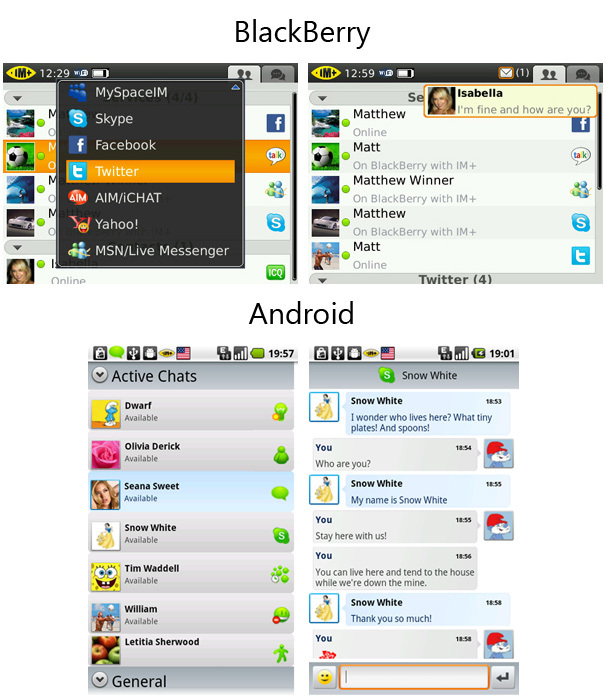 Nimbuzz is free mobile calls, instant messaging and more with friends on Nimbuzz and on Facebook, MSN/Windows Live Messenger, Yahoo! Messenger, Google Talk, AIM/ AOL Instant Messenger, MySpace, ICQ, and more!